— We consider various cases of seismicity, induced by artificial fluid injections in boreholes. Like many other authors, we support the hypothesis that to a large extent the triggering of this seismicity is caused by a diffusive process of the pore pressure relaxation in porous (or fractured), saturated rocks. 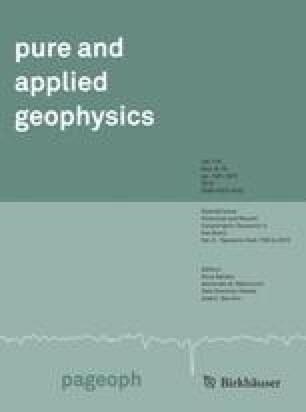 We show that if this hypothesis is correct, then the spatio-temporal distributions of the seismic events must have several specific features related to the effective permeability of the rock. As a rule the fluid injection-induced seismicity obeys such features. These features can be indications of the diffusive and even hydraulic nature of the seismicity triggering process.¶From this point of view we analyze the spatio-temporal distribution of the late aftershocks of the Antofagasta (northern Chile) 1995 earthquake. These aftershocks were concentrated in a plane, an approximately 3 km-thick spatial zone. This thin seismogenic layer is a part of the South American subduction zone. The time-distance distribution of the aftershocks along this layer indicates that they could be triggered by a diffusion-like process. Possibly, such a process is the relaxation of the pressure perturbation caused in the pore fluid by the main Antofagasta event. We estimated the permeability required to explain the spatio-temporal distribution of the aftershocks by such a triggering mechanism. The obtained value, 60 mD, is very large. However, it is realistic for a long-time existing and large-scale fault zone. Key words: Diffusivity, permeability, aftershocks, seismicity, subduction.